One loaf or a whole lotta loaves, we make it easy to get your favorite sweet homemade bread sent right to you or someone you love. If a loaf is good, a loaf over and over is ever so much better. Make the whole year sweet with bread that keeps coming month after month. Home-baked goodness, from our Georgia family to yours. 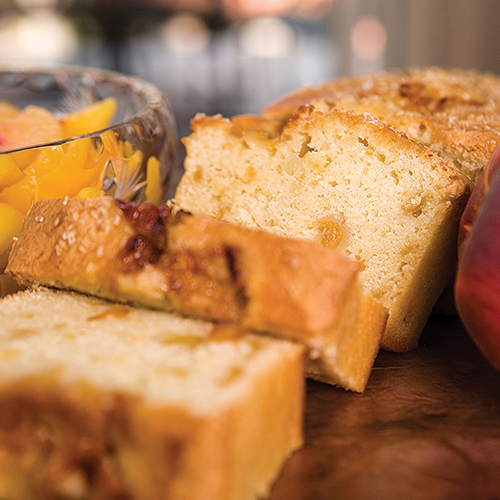 One taste of Breadwinner sweet bread and you'll experience the singular delight of true Southern hospitality. Georgia peaches flirt with brown sugar, bananas and butter melt together, and every mouthful is sweet, creamy, and unforgettable. It's the ultimate comfort food, made with our family's secret recipes, handed down through generations. 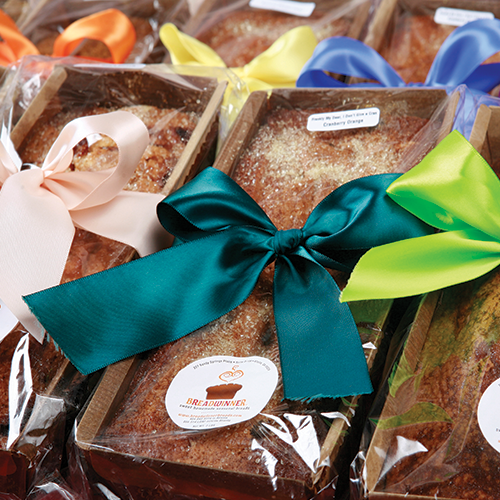 We proudly carry on the tradition, baking everything from scratch in small batches and using only the finest, freshest ingredients, without preservatives.